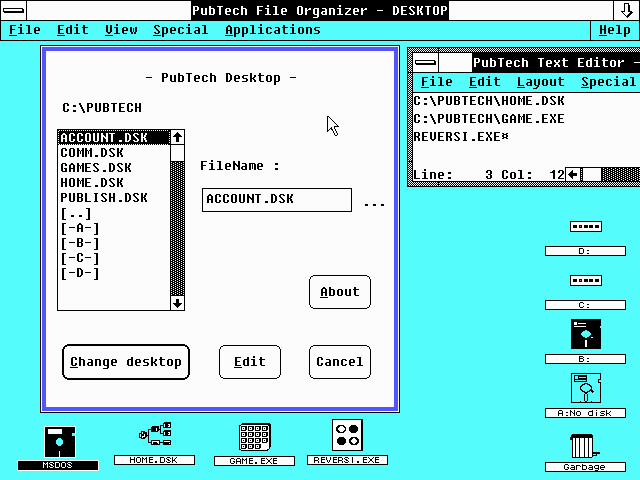 These are additional applications that come with the PubTech File Organizer. 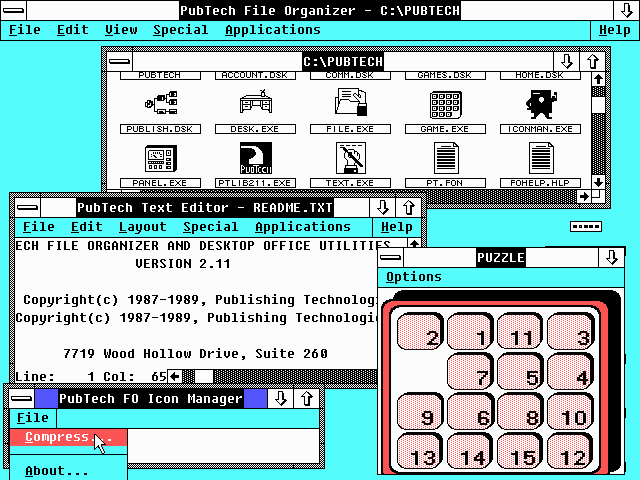 There is an advanced text editor, a cheesy looking slider puzzle, and an Icon Manager. The Icon Manager is used to convert Microsoft Paint files to special icon files. There is also a special control panel application that provides a graphical interface for configuring elements of the config.sys, autoexec.bat, and win.ini files, configuring file extension associations, and controlling the icons used by the File Organizer. There is also a screen blanker that can be set to dim the screen after a specified number of minutes. It also comes with a rather crude multiple desktop feature. The DSK files store lists of files that are to appear on the desktop. These DSK files can be selected as shown in this screen shots. Here is something that works very well and is really nice: a built in file search. You can search for files in specified folders and for text strings inside those files. A second screen shot of the search command returning results. Hell, I almost don't want to leave the PubTech File Organizer. It was years ahead of both the MS-DOS Executive and the Program Manager. 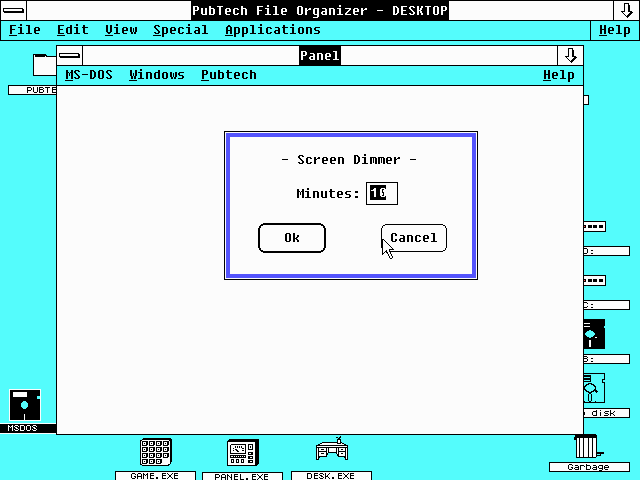 I am almost convinced that Microsoft copied what PubTech did to implement the Explorer user interface on Windows 95/NT 4.